First of all, you should know I LOVE Walmart Savings Catcher. I was fortunate to be in the Beta launch area so I got to see the first few baby steps of the program and was impressed then and it’s done nothing but get better. 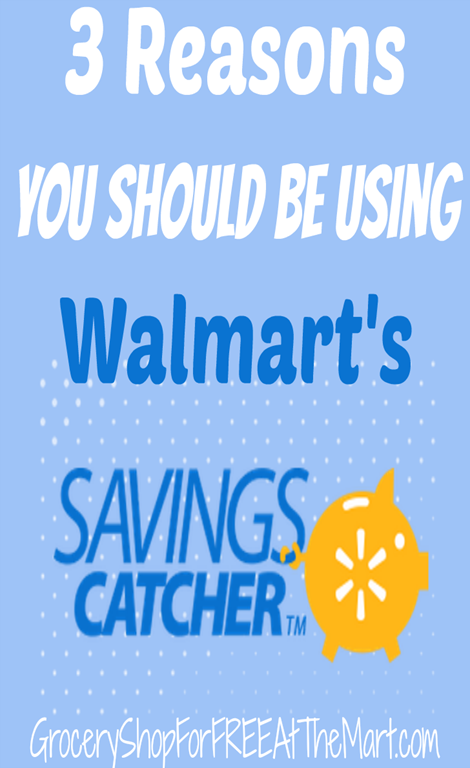 So let’s take a look at why should be using Walmart Savings Catcher every time you shop at Walmart. Have you ever wanted to return something and couldn’t find your receipt? Now you can have a digital copy of every single receipt you load into Savings Catcher on your phone. No more keeping track of little slips of paper! If you will transfer your Savings Catcher money onto a BlueBird account, you will get DOUBLE your money back! I’ve got a ton more info about how to sign up for BlueBird here. UPDATE: Savings Catcher no longer doubles when transferred to Bluebird. You can still transfer it, it just won’t double and the Bluebird card is still a ton easier to use than those Walmart eGiftcards. In short, Savings Catcher is an incredibly easy program to use that will save you big. Be sure to watch the video above for more info. Thanks! Hello I just want to know which are ur all time apps for couponing? I was on a page n found some u posted but lost it. I Know there are alot but witch ones do you prefer. Thank you. You can find all the apps at GroceryShopforFREE.com/apps.